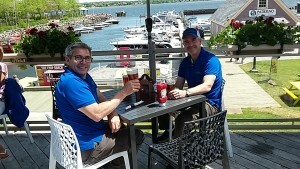 New franchise owners Keith and Dan that will head up operations for Enviro Masters Lawn Care in PEI. Grand opening is off to a great success with already a lot of new customers! Enviro Masters is expanding nicely across the country! Our new location in PEI is set to bring Great lawn care to the area!